The Iosol Iodine Quality Difference Iosol Iodine is a proprietary iodine formulation that has been in widespread use since 1945. I am often asked what the difference is between this iodine supplement and others, and many have asked what the source of the iodine is that is used in Iosol. Iosol Iodine is in my opinion the premier iodine supplement on the market today. This is because of the superior water solubility of the iodine. This feature makes free iodide readily available for your body to use. 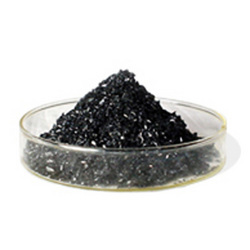 There are two sources of iodine in the Iosol formulation. One is from kelp. Iodine in kelp is naturally in the form of potassium iodide. However, potassium iodine is not very soluble in water and may be difficult for your body to easily use. For example, if you get liquid potassium iodide on your clothes it causes a permanent stain of red. If you get Iosol Iodine on your clothes the red will evaporate out in a few minutes or readily come out with washing. In fact, potassium iodide has been shown to congest the thyroid gland when taken in high doses and is how Hashimotos thyroiditis was first discovered (Japanese citizens consuming too many sea vegetables). This is why I don't use potassium iodide. During the production of Iosol, iodine is extracted from kelp and made into pure iodine crystals. This is not potassium iodide, rather it is an unbound form of iodine. On the other hand, ammonium is a primary source of nitrogen for humans. It is involved in many cellular chemistry reactions necessary for health. As dietary protein is metabolized ammonium is produced. The liver converts any extra ammonium to urea, which is easily cleared through the urea cycle. The amount of ammonium in Iosol can act as a nutrient in normal cell metabolism or it can readily be cleared by the liver. The amount of ammonium in a dose of Iosol is trivial compared to the amount of ammonium produced in routine protein metabolism. The bottom line is that Iosol Iodine is a very safe and effective form of iodine to use as a dietary supplement. In my experience over the past twenty years it has routinely produced outstanding results. What is the dose of Iosol Iodine? The most commonly used dose of Iosol Iodine is 1 drop of the preparation in a few ounces of water, taken once a day. Each drop has 1.8 mg of iodine or 1200% of the governments recommended daily value. If you would like to get only 100% of the daily value then take 1 tsp of a mixture of 1 drop of Iosol Iodine in 2 ounces of water; however, most people like taking more than this. Adequate iodine tends to keep your head more awake during the day, helps support your energy level, and helps you warm up (if you are cold). * Many people take 1-5 drops of Iosol Iodine per day, using enough to feel warmer and more energetic. While this can be taken all at once in the morning, some like to split the dose and take some in the afternoon as well.